So I had a birthday. 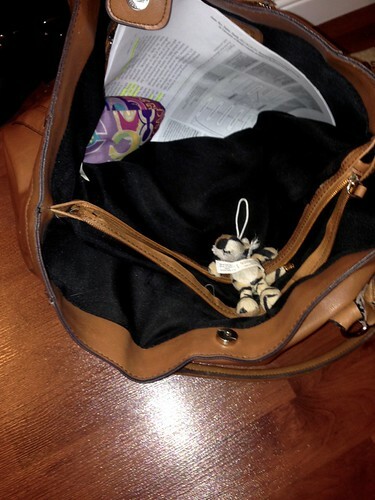 Apparently my cats knew it was my birthday, because they gave me a present: one of their toys was in the bag that I take to work when I got up on Monday morning. So thoughtful of them. At work, some of my coworkers took me out for lunch, which was very sweet of them! And that night a group of friends took me out for dinner to El Santo, a new Mexican restaurant in New West that everyone has been raving about. I completely forgot to get a photo of all of us at dinner, because I’m old and senile. 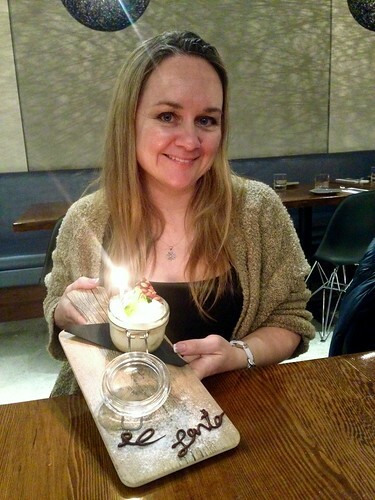 But I did manage to get a shot of me with my birthday dessert – Potted Tres Leches – which the restaurant gave to me for free, what with it being my birthday and all. It was delicious! 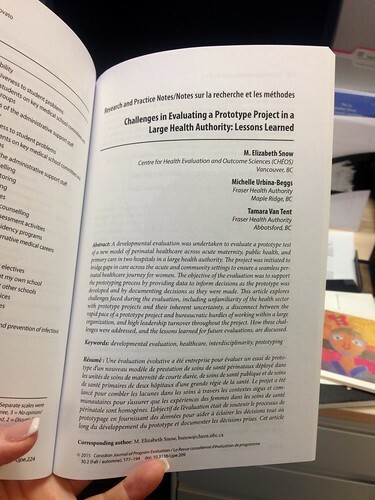 The next day I received a hard copy of the latest issue of the Canadian Journal of Program Evaluation, in which I have an article! I would also like to point out that since 2016 is a leap year, I get to have a whole extra day before I turn the big 4-0. I think this was an excellent choice on my part.